Edward Harney was remembered by his fellow Western Australian, George Pearce, as ‘one of the bright lights of the first Senate’. Harney was born in Dublin on 31 August 1865, the fifth son of Richard Harney, JP, of Killoteran House, County Waterford, and Ann,née King, of County Tipperary. A Roman Catholic, he was educated at St Vincent’s College, Castleknock, the Jesuit College at Clongowes Wood, and Trinity College, Dublin. He was an outstanding scholar who won prizes at all three institutions. Harney studied law at Trinity College and the King’s Innsand was admitted to the Irish Bar in 1892. He was interested in moving to London, but the rules for admission to the English Bar for Irish graduates were tightened, so he practised in Ireland. In 1896, he visited his brother, Francis, a solicitor in Coolgardie, and decided to stay in Western Australia. In May 1897, he nominated for the Legislative Assembly seat of Coolgardie, but retired from that contest and unsuccessfully contested the seat of Dundas. He was almost unknown in the colony, but though defeated by a local man, he made a great impression by brilliant oratory. In July 1897, he was admitted to the Bar in Western Australia and he later edited the first Western Australian Law Reports. He practised with his brother, becoming an expert on mining law and an active member of the Chamber of Mines. He became a prominent citizen of Coolgardie taking a lively interest in commercial enterprises. He was one of the promoters and directors of the Coolgardie Swimming Baths and served as president of the Western Australia Rowing Association (1905–06). Harney was prominent in the campaign for Federation and promoted the Western Australian Federal League; he was a member of its executive committee. In 1901, he stood as one of sixteen candidates for the six Senate seats in Western Australia and was placed fifth in the poll. He found great difficulty in continuing his legal practice in Perth while attending to his parliamentary duties in Melbourne. It is not surprising that he was a strong advocate of a transcontinental railway. He argued that this should be built regardless of cost because Western Australia had only joined the Federation when a railway link with the east was promised. J. W. Kirwan recounted that Harney was known as the ‘member for the Australian Bight’ because of the frequency of his travel between Perth and Melbourne. Even so, his record of attendance at parliamentary sittings was poor and he retired when his term expired in December 1903. On one occasion the Senate was dealing with the first tariff and Harney as a Free Trader had made a most destructive speech against one of the protectionist duties … During the dinner adjournment, Harney …was the subject of some chaff from his fellows which ended in a curious wager. This was that Harney was not game to go into the Senate after dinner and make as good a speech in favour of the duty. Harney accepted the challenge, and, on resuming, the Senate was astounded to listen to a speech from this Free Trade orator supporting the duty which he had earlier in the day so trenchantly opposed. Pearce’s story is given further credibility by Harney’s own confession in the Senate during debate in the 1902 Customs Tariff Bill: ‘… if I got a reasonable fee I could spin as many telling propositions upon one side as upon the other’. In Melbourne, he was popular for his eloquence and wit both as a conversationalist and a debater. Described as the ‘Demosthenes from Western Australia,’ and a ‘brilliant Irish orator’ whose name in Western Australia was ‘a synonym for oratorical powers and forensic persuasion,’ he made notable contributions to debates in the Senate. Most of his speeches, which are impressive, include clear statements of principle blended with common sense. Elected as a Free Trader, he conceded the possible advantage of Australia adopting some protectionist measures in the future. Nevertheless, he opposed any attempt to subsidise industries which could not stand alone, affirming that ‘if we want to become a manufacturing country, we should wait until the conditions naturally arise to make us one’. While often critical of government policies, he supported the principle of White Australia, but worried lest the deportation of Kanakas would mean the end of the sugar industry and vehemently opposed the device of the dictation test in the Immigration Restriction Bill. He saw this as dishonourable and ‘a gross and wilful piece of chicanery’, adding that ‘we know very well … we exclude because of race and colour’. He was not happy with female franchise, nor with the principle of one man, one vote, as he thought capital should be represented, but he accepted these because he saw uniformity between the states as all-important. He became a supporter of proportional representation for the Senate. When the bill which established the Commonwealth public service was debated, he advocated complete independence of the Public Service Commissioner. He opposed moves to reserve half the forthcoming new appointments for women as forcing ‘the hand of nature’ and considered that nothing could be more injurious to women than ‘this everlasting advancing and alleging of supposed grievances from which women are said to suffer’. He opposed moves which would allow service in the armed forces to provide a right to public service employment considering that there had been too much glorification of those who had fought in the Boer War. He also opposed any restriction on political activities of public servants. Harney served on the standing orders committee from 5 June 1901 to 23 November 1903 and in Senate debate often raised points of procedure or the constitutionality of measures. He strongly objected to clauses in the post and telegraph legislation, which were designed to destroy lotteries in Tasmania. He considered that the Commonwealth had no power to legislate on such issues and that it should not attempt to do so indirectly. Harney frequently expressed admiration for the Constitution, declaring that he would oppose any attempt to alter it on the grounds that it should be given a fair and lengthy trial. He believed the Constitution of the United States to be too rigid, and that of Switzerland too flexible. However, he felt that Australians had found a happy medium and that the Commonwealth Constitution was ‘sufficiently elastic to bend to the will of the people, and sufficiently rigid, if we keep it as it is, only to bend slowly’. Concerned to maintain the authority of the Senate, he argued that there was no difference between the power to amend and the power to suggest amendments. He said that it was not a foregone conclusion that ‘we are to play second fiddle to the House of Representatives’ for no one could tell which House would prove to be more powerful. Yet he admitted that the constitutional provision for double dissolutions gave a privilege to the House of Representatives and considered that ‘the other House having absolute control over the Executive is a grave flaw upon our federal union’. He felt that the Senate could never be a ‘House of co-ordinate jurisdiction’. Perhaps Harney’s greatest interest was in the constitutional provisions for the High Court. He raised issues regarding the appointment of judges and frequently opposed appeals to the Privy Council. His speech on the second reading of the bill to establish the High Court was described by J. W. Kirwan as ‘an oratorical effort that, in the estimation of many, surpassed the finest efforts of Barton or Deakin’. Years later, in discussing the same speech, Professor Geoffrey Sawer declared: ‘Harney’s account of the nature of a written constitution has never been bettered’. Harney saw the establishment of the Court as an essential feature of the Constitution and argued against any delay or compromise. He wanted to see it as a great institution with independent well-paid judges. He saw the Court as necessary in expanding the powers of the Constitution. During a debate in the Senate in 1903, he pronounced: ‘We cannot remain stationary; times change. The Bible is unalterable, but theologians have done for that work what the Judges have to do for the Constitution. While retaining its principles, they have given them an application in conformity with the multiplying complexities of our increasing civilization’. Harney was clearly proud of his profession and often defended lawyers and their role in public life. He particularly objected to a motion that would prevent those who had served in Parliament from becoming judges and asked: ‘What more fitting preparation can you give to those who have the explanation of the laws than to give them some training in the making of the laws?’ After leaving the Senate, Harney became a King’s Counsel in Western Australia in 1905. 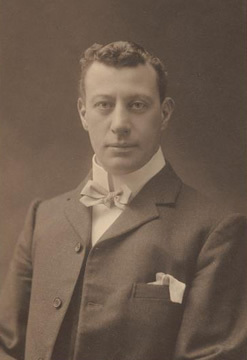 Kirwan suggested that he had not shown himself suited ‘to the dullness and drudgery of Parliamentary law-making’, but Harney attempted to re-enter political life when he unsuccessfully contested the seat of Greenough in the Legislative Assembly election of 1905. In the following year, he left Western Australia and spent the remainder of his life in England. Rules for admission to the English Bar had been liberalised and in 1906 he was admitted as a member of Gray’s Inn and took silk in 1920. In November 1922, Harney was elected, as a Liberal, to the House of Commons for South Shields and re-elected in 1923 and 1924. He was campaigning for re-election when he died in South Shields on 17 May 1929. On 13 April 1898, at the Roman Catholic Cathedral, Perth, he had married Clarissa Margaret, the only daughter of Robert Crewdson Benington, MD, of Newcastle, but in 1922 he divorced her. They had one child, a daughter. In December 1927, he married Kathleen Anderson, daughter of Thomas Tindal Anderson of South Shields. There was one son of the marriage, Desmond. When Harney died The Times admitted that he would be a great loss to the Liberal Party especially as a persistent critic of the government in committees, but the description of him as ‘a fluent speaker without being exactly eloquent’ contrasts with earlier Australian assessments. His English constituency had been one of the most distressed areas on the Tyne. As well as criticising government measures to relieve unemployment he had urged a loan of £100 million for relief works. When a bill for a totalisator was introduced in the House of Commons, Harney was one of the few Liberals who supported it. He and Sir Newton Moore, a former premier of Western Australia, wrote to The Times that their experience in Australia led them to recommend the totalisator as a means of ‘increasing the comfort of race-meetings’ and ‘eliminating many of the objectionable’ features of gambling. Harney had the singular distinction of being a member of the English, Irish and Australian Bars and a King’s Counsellor in both England and Australia. He was an impressive figure in law and politics and one of the most colourful characters in the first Australian Senate. His love of learning, plus his oratorical ability, made him a natural for a political life—and a highly principled one. George Pearce, Carpenter to Cabinet: Thirty–Seven Years of Parliament, Hutchinson & Co., London, 1951, p. 55. Enid Russell, A History of the Law in Western Australia and its Development from 1829 to 1979, University of Western Australia Press, Nedlands, WA, 1980, p. 206. CPD, 29 May 1901, pp. 356–357; J. W. Kirwan, ‘Some Goldfields Parliamentarians’, Kalgoorlie Miner, 16 August 1929, p. 1. Pearce, Carpenter to Cabinet, p. 55; CPD, 13 May 1902, p. 12503. Gavin Souter, Acts of Parliament, MUP, Carlton, Vic., 1988, p. 79; Peter Heydon, Quiet Decision: A Study of George Foster Pearce, MUP, Carlton, Vic., 1965, p. 17; W. B. Kimberly (comp. ), History of West Australia, F. W. Niven, Melbourne, 1897, p. 185; CPD, 13 May 1902, p. 12507. CPD, 13 November 1901, p. 7165. CPD, 9 April 1902, pp. 11486–11488, 6 February 1902, pp. 9761–9763; G. S. Reid and Martyn Forrest, Australia’s Commonwealth Parliament 1901–1988, MUP, Carlton, Vic., 1989, p. 99; CPD, 7 November 1901, p. 6957, 8 November 1901, pp. 7055–7056. CPD, 29 January 1902, pp. 9337–9338, 9364. CPD, 5 June 1901, p. 647, 13 June 1901, p. 1064, 10 April 1902, pp. 11588–11591, 12 June 1901, pp. 910–914, 27 June 1901, pp. 1691–1696. CPD, 29 May 1901, p. 362. CPD, 29 May 1901, pp. 360–362, 13 June 1901, pp. 1035–1036. CPD, 29 May 1901, pp. 352–356, 5 August 1903, p. 3070, 6 August 1903, pp. 3147–3148; Kirwan, Kalgoorlie Miner, 16 August 1929, p. 1; CPD, 5 August 1903, pp. 3039–3050; Geoffrey Sawer, Australian Federal Politics and Law 1901–1929, MUP, Carlton, Vic., 1956, p. 24; CPD, 5 August 1903, p. 3044. CPD, 14 June 1901, p. 1150; Kirwan, Kalgoorlie Miner, 16 August 1929, p. 1. The Times, 18 May 1929, p. 14. This biography was first published in The Biographical Dictionary of the Australian Senate, vol. 1, 1901-1929, Melbourne University Press, Carlton South, Vic., 2000, pp. 340-344.